Incorporates preformed teeth and/or nails making it quick and easy to apply. 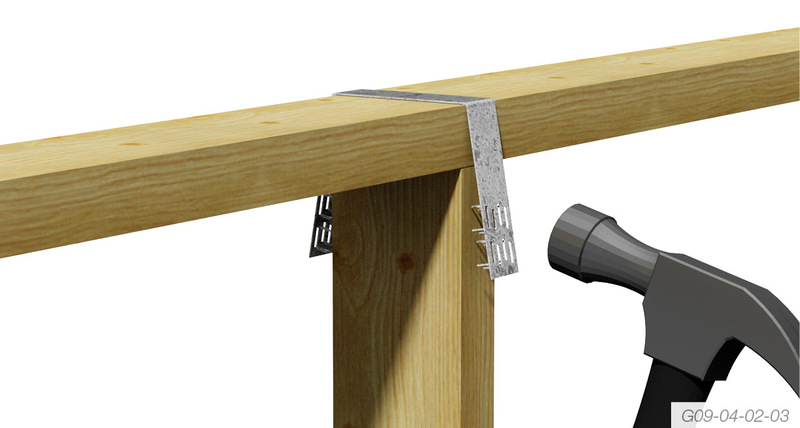 Eliminates timber splitting as the preformed teeth and/or nails are positioned away from timber ends and edges. 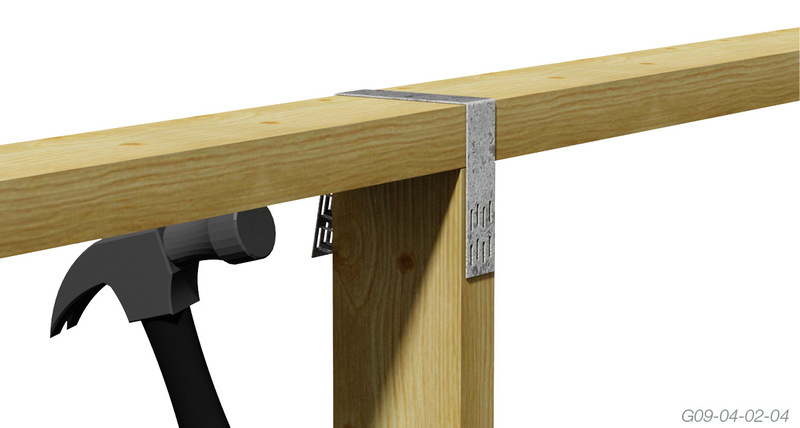 Provides greater tie-down strength as it is driven into the side grain of timber to resist wind uplift in lateral shear. 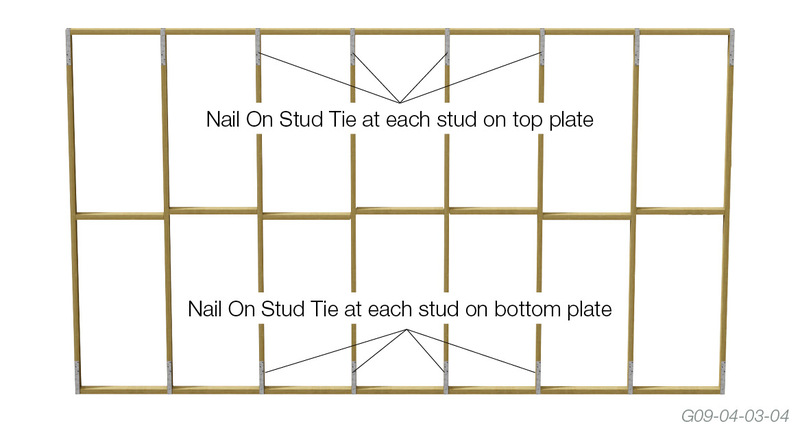 Position the Press/Stud Tie over the wall plate and stud and hold firmly. 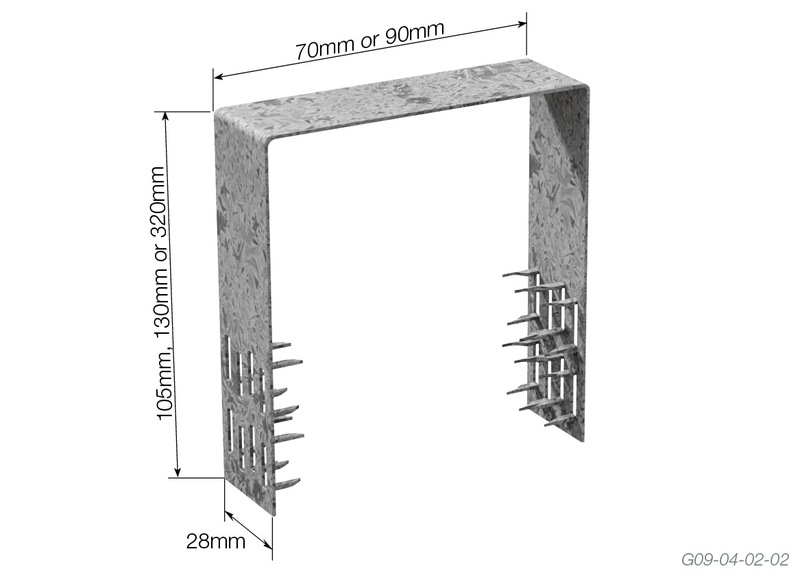 Hammer the preformed teeth into both sides of the timber wall stud. 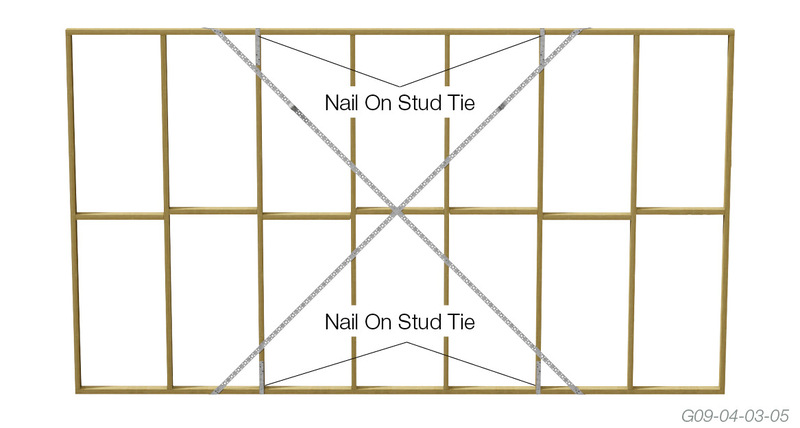 The following table gives the recommended Wind Uplift Limit State Design capacities for the Multinail Stud Ties. 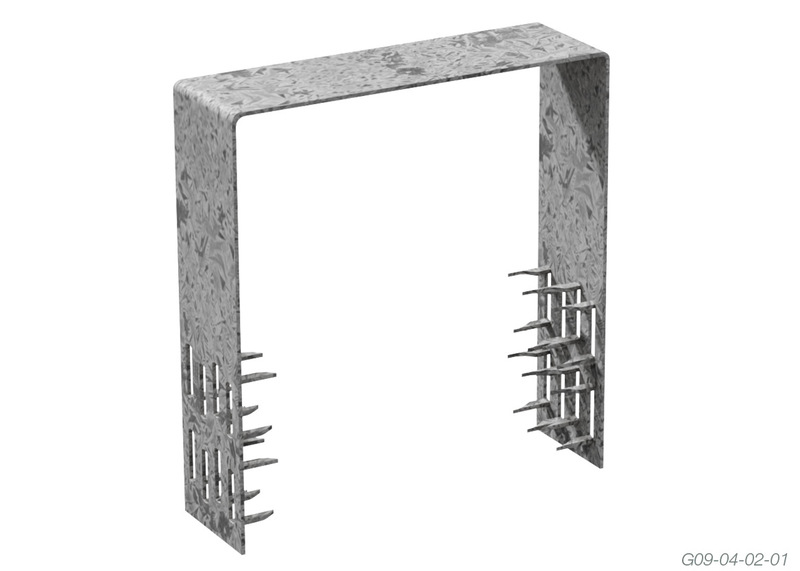 These capacities are dependent upon the joint group of the timber to which the Multinail Stud Ties are affixed.